Having multiple projects on the go means that you have to be good at project management and here I’m going to use the analogy of spinning plates as a way to share tips for managing multiple projects either as a portfolio worker or in other contexts. When I first get involved in a project or a new piece of work it’s a bit like getting the plate spinning in the first place. It requires dedicated time and attention and depending on the complexity of the project there is likely to be new things to learn and new people to meet. 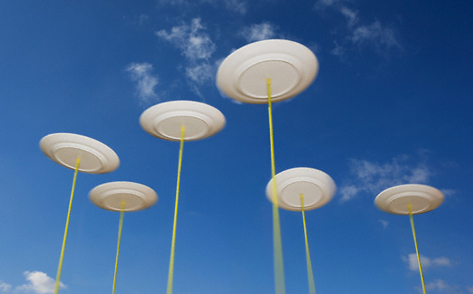 To get the plate spinning efficiently you need to define the scope, your contribution and expectations of others and depending on your role in the project initiate the kick-off. In my experience communication with all stakeholders involved in a project is one of the key elements to the success and to getting the plate spinning well. Once you’ve got the plate spinning you need to ensure that it continues well and if you’ve got multiple projects on the go at one time this can be tricky. Sometimes despite the best planning in the world unexpected things happen, and it is important to allow for these risks. You also need to consider how to keep the plate spinning when you are not physically engaged with project. Planning ahead and also dedicating specific time each week to a certain project helps me to do this. A client recently remarked that she finds it useful to know that I have a dedicated time slot when I work on her project. This provides the structure and I then build in flexibility by also being available to answer ad hoc queries outside the dedicated time slot. This often requires a quick assessment to establish if the request outside the dedicated project time slot is urgent, essential or not. This is an interesting one, and I’ve written before about finding work and building your portfolio in line with your interests and strengths. I’ve built my portfolio around this and it seems to be working. It has resulted in me working on projects which all feed in to one another, so whilst they are separate pieces of work, with different customers, the content crosses over. So whilst I am spinning one plate, this is likely to be having a positive effect on other plates. I refer to this as win-win because everyone wins when you are able to facilitate sharing of learning and ideas across the projects you are working on. As long as client confidentiality is maintained, and open discussions take place then I am a big advocate of collaboration and sharing. If through your work you can enable this then it is a win-win and you can add value through your networks. At the moment I am reflecting on the number of work project “plates” I have spinning and planning ahead to see how I get new ones started. Project plans are key to my work and I usually have three plans running concurrently – next week, next month and the year (or two) ahead. This is in addition to each project or contract having an individual project plan. To make sure you have a manageable number of plates spinning I recommend looking first at the big picture and then to chunk it down. I find this enables me to reflect on how any new project may fit in, and sometimes to say no. Currently I am looking at ways to increase capacity to have more plates and I’ll write more about this in another blog. Finally lets look at projects ending and new projects starting and how to ensure long term success. To succeed as a portfolio worker, freelancer, contracter or whatever you want to call the way you work, it is essential that you deliver well on projects and don’t let a plate fall. I learnt from my days working in sales that it is far easier to grow business with existing customers than to attract new ones. So my number one priority is always to deliver well on existing business before chasing new. This can be tricky when you are a solo entrepreneur because you need to have an eye both on delivery and ensuring there are new contracts or “plates” in the pipeline. One last tip is to recommend that when the project or plate spinning comes to an end that you evaluate and review the project outputs. Even if the customer has not asked for an end of project evaluation report, offer them one, however brief, and also reflect for your own learning. It will help with getting the next plate spinning well. I hope that this has triggered some useful ideas. I don’t have any formal project management training although I’m considering investing in some to help move on to the next level of plate spinning! Whilst I don’t have the formal training, what I do find works well is to build up experience over time and to make changes to keep improving. Please do comment or add more ideas so that we can share. And following on from my conversation this week about the Myers Briggs Type Indicator with well qualified colleagues in this area, we each approach activity such as project management in different ways, so do reflect on your own experiences, strengths and ways of doing things. I’d love to hear your ideas. I do not own the copyright for the photo in this article. These are times of constant change in the workplace and job market. And in amongst it all, each and every one of us is developing our careers and our workplace environments. The internet and social media, for example, are changing the way we do business and communicate – and transforming our working lives and indeed, ourselves as a result. What specifically is the impact of this on how you manage your career? How are you noticing the shift of boundaries between work and life resulting from 24 hour connectivity? How is communication through the internet and social media impacting on how you do business? As Generation Y, Millenials and now Generation C (the connected generation) enter the workplace we are seeing the impact of the mixing of generations. Each generation having grown up in a different “soup”. Added to this an increasing number of people I speak to are seeking meaning and purpose in their work, over and above more traditional career drivers such as security, status and a high salary. All of this has an influence on how we manage our career, with a need as an individual to adapt and reflect on what works for us. With the choice to adopt new ways of working or to opt to stick with what we know and are familiar with. Having a portfolio career mindset and building your flexibility and adaptability are ways to build resilience to handle the shifting context and to respond to trends in the job market, such as short term contracts and the growth in a project approach to work. The concept of a portfolio career is not new, in fact the idea of a “portfolio worker” was first advanced by the work of the author and philosopher Charles Handy in the 1980s. New career theories are also emerging from the US and in future blogs I’ll be sharing some the key themes which I have read about in this research. We will also be sharing career stories to illustrate the experience of different generations who are embracing a portfolio approach to their work. More also about the characteristics and preferences of Generation Y, Millenials and Generation C in an article by Anita Pickerden coming up soon. If you want to start working in a portfolio way or if you are in the midst of a portfolio career it’s useful to consider what type of work you enjoy doing and what gives you a good energy. To sustain a portfolio approach to working over time there needs to be a momentum and a purpose. When all is flowing well you can create a great energy. For example I get energy from projects starting and coming to an end and from the variety of different strands of work and work environments. It does however require an investment in the first place to get the work and to then sustain over time. Also notice what is working well and what is generating a good energy. Notice what is causing energy levels to drop. Make changes so you can build on the good stuff and whenever possible avoid taking on energy sapping projects. Also be aware of overplaying your strengths. One of the health warnings of doing work that you enjoy is that if you don’t take time out, then it can be counter productive. So it’s all about balance and finding the right balance for you and your portfolio of work. Just find the space to reflect on your energy levels and consider any changes you may want to make. In the next blog we’ll be looking at recent news coverage about part time working. Why develop a portfolio career? Posted on November 21, 2011 November 21, 2011 by JayneSharples in About Portfolio Career Connections, What is a Portfolio Career? The term portfolio career is increasingly being used to describe a work-life in which you do two or more part-time jobs for different employers or to describe a career in which you don’t follow a single track or profession. In place of a linear career progression, a portfolio careerist gains experience and builds expertise, combining multiple professions, working for different employers and mixing employment with freelance contracts to make up their personal portfolio. As we build our career stories on this site you will see that a portolio career is unique to the individual, and typically grows in line with their strengths, skills and interests. In future articles we will be considering how to build a successful portfolio career, but first of all let’s consider why do it. This will give you an insight in to the advantages and disadvantages. 1. Are you at the start of your working life and want to try out a range of jobs before you focus on one specific profession or career route? This is potentially a great time to try out portfolio working. 2. Are you finding it difficult to find a full time job, and therefore need to take on available part time opportunities? Use your portfolio of work to describe this phase of your career in a positive way. You may even choose to stay with a portfolio way of working. 3. Are you mid-career and want to change direction or to enjoy a new way of working, in place of a full-time permanent job? Portfolio working can enable you to build your career in a new way and in future articles we will talk about how you can take responsibility for your own career develpment. 4. Do you want to start a business, but not give up a regular income stream in the early stages? Having a portfolio of income streams and space in the diary can help you to take a low risk route to business start-up. 5. Are you approaching retirement and want to build up a portfolio which gives you flexibility at this stage of your career? Whatever the reason, be clear about your motivation and see it as a positive step in your career journey. Employers are increasingly wanting to recruit employees who demonstrate adaptability and flexibility. Also given the fluidity of the jobs market, having a portfolio of career experience and skills can put us in a strong position. I enjoy managing a portfolio of work and the variety of working on a number of projects, with some days in the office working for a regular employer and some days working for my freelance clients. I’ve just added writing to my portfolio, a surprise addition emerging from the space and time to do more creative work. Having time to do new things is great. With this however can come the demands of managing and juggling a portfolio, with often competing deadlines. The challenges also include managing a fluctuating income, coping with the lack of stability and building resilience to constant change. You definitely need to be good at networking, time management and be self-disciplined! Don’t just take my word for it, speak to others who have a portfolio of work and take a look at the growing amount of literature on the subject. More about this on Portfolio Career Connections soon. you are new to the idea of developing a portfolio career and want to connect with others who are on a similar journey. you have a portfolio career and want to make connections to build on your current success and to benefit from being part of a community of portfolio careerists. you are an employer, who is interested to find out more about what motivates portfolio careerists and how they can have a positive impact in your organisation. you simply want to explore new ways to manage your career and your development. We will be sharing innovative ideas and exchanging expertise across the community. So wherever you are on your portfolio career journey, we intend to provide you with honest, accurate and motivational support and information. We want you to get involved so do let us know what you’d find useful to see on the site. Most of what we offer is free to access. There will be a charge for some of the services, such as one-to-one coaching and mentoring and workshops for small groups. Each month there will be a key theme, with either a focus on a key portfolio career development topic or a sector-specific focus. The founders of the community are based in Birmingham in the West Midlands, and this is where we will launch our first off-line connections meetings. We very much look forward to connecting on and offline. Wishing you an exciting and rewarding portfolio career journey with lots of great connections along the way.